Join us for a hands-on, 3-hour workshop and watch the putts start dropping. The path to better putting begins with trust. If you don’t trust your stroke, or your read, or your putter, you’ll lose confidence. And when you lose confidence, you start missing short putts. Around and around you go. The ONLY way to break out of that frustrating cycle is to build a rock-solid foundation of confidence. Confidence built on four fundamentals of trust. That’s what we teach at GNL Golf in The Villages. When you come to our state-of-the art training center you will learn to trust your stroke, your aim, your equipment and your routine. The easiest way to lower your score is to stop three-putting. Simple as that. And to stop three-putting, you need more gimmes!Increasing your 6-foot sink rate by just 50% will have a bigger impact on your scores than adding 30 yards to your drives. The payoff is immediate, and surprisingly easy. This is a hands-on learning experience like no other. Bring your putter… We’ll provide food and drinks and deliver game-changing instruction that you can’t get on the Golf Channel or in any magazine. It’s only at GNL Golf. So reserve your spot today, and start out-putting all your friends. Get the hands-on training you need to feel, learn and repeat a fundamentally sound putting stroke. It’s almost impossible to develop a good putting stroke just by watching videos, reading instructional articles, or taking lessons. Here’s why: Instructors try to explain what it should feel like, but their words fall painfully short. There’s no way to feel it for yourself, so most people don’t really get it. Until you can feel the right motion, you’ll never get a good, smooth stroke locked into your subconscious mind and your muscle memory. So it will never be trustworthy when the chips are down. 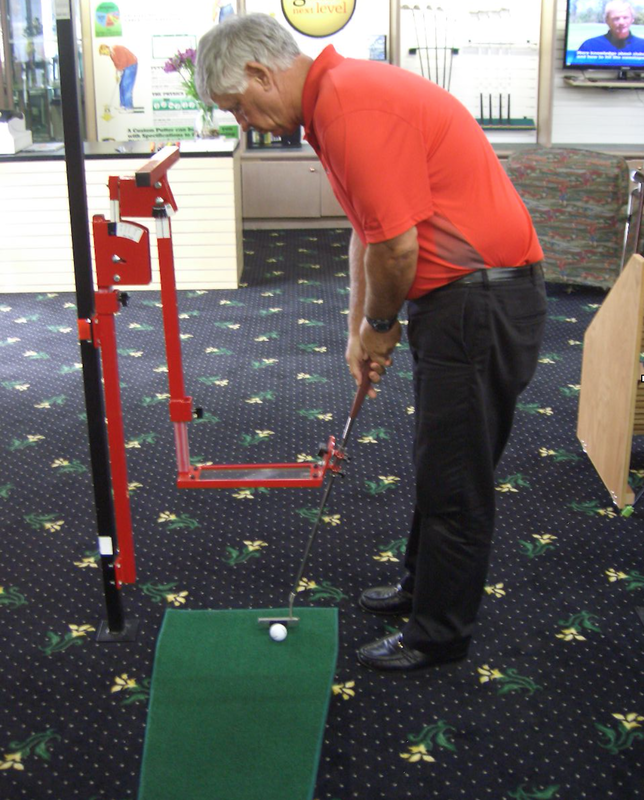 At GNL Golf’s putting workshop, you will work with “TPM Technology”, the most revolutionary putting machine ever devised. With our four “Trusty” trainers you’ll get plenty of time to FEEL what a solid, repeatable stroke is like. Once you feel it, then you can Own It, Trust It, and Repeat It. Time after time, putt after putt. Even when the pressure’s on. 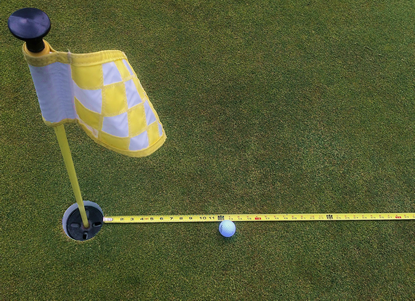 How close to the hole would you have to be to bet $100 on your putting skills? Three feet? Two feet? One foot? When you complete this workshop, and practice your newfound skills for just a few hours, that Circle of Trust will expand dramatically. 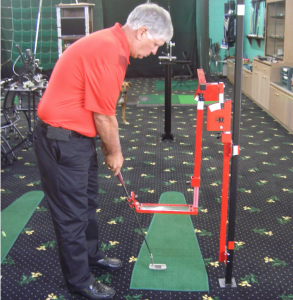 Come and learn from Iron Archie – the most accurate putter in Florida. On November 11th, 2010 Archie made 217 putts in a row from 11 feet away. Not even the hottest pros can match his deadly aim, and we’ll share his secrets with you. Accurate Aim — As the old saying goes, “aim small, miss small.” Laser tracking will show you exactly where you’re aiming. Your eyes may be tricking you! Your natural stroke — Discover the natural motion that works best for you. Should it be straight back and straight through, or an arc? Shoulders, arms or hands? 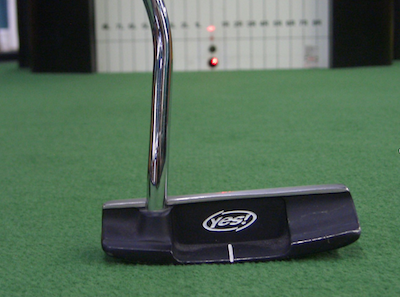 The right putter — In order to putt well you absolutely have to trust the club in your hands. Grip size, shape of the head, loft and many other factors can affect how your putts roll and how well you aim. Bring your putter – we’ll help you dial it in. Positive Mindset — We’ll show you how to set yourself up for success with a dependable routine and a confident approach that’s built on trust. Are you struggling with long putts? Does your back hurt when you putt? Do you sweat bullets over the short putts? Are you constantly experimenting with different putters, methods and grips? You don’t want to miss this. This hands-on workshop will change your perception of putting completely. Your mindset, when you’re standing over a five foot putt, will change from questionable to confident. Stressed out to stress-free. 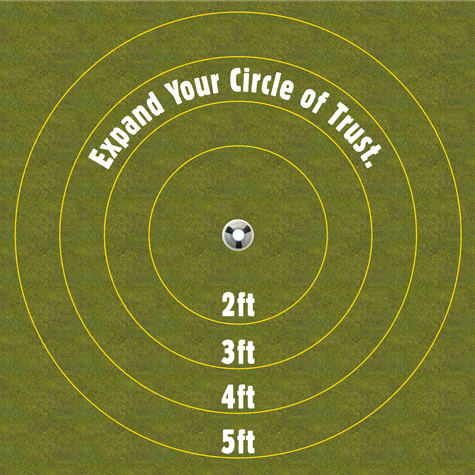 The hole will look bigger and your Circle of Trust will grow dramatically. John S. Ford has been hand-crafting golf clubs since the early 70’s. He built clubs for Jack Nicklaus, Sam Snead, Arnold Palmer, Ben Crenshaw, Julie Inkster, Meg Mallon and many other tour stars. He’s a true craftsman and an engineering genius who has helped thousands of ordinary golfers transform their games. Bring your putter and we’ll help you dial-in the most important club in your bag. Stop second-guessing your stroke. Your putter. Your aim. Yourself. Start trusting it again. Sign up now for this game-changing, 3-hour workshop at GNL Golf in The Villages. Get the building blocks of success you need to expand your Circle of Trust, improve your putting, and take your game to the next level. Pre-payment is required to reserve a seat. These workshops sell out fast, so reserve your space early. This hands-on workshop will change your perspective on putting forever. It's the ultimate confidence booster. Only $29. Accelerated learning in our state-of-the-art training center just 3 minutes from The Villages. Three hours of game-changing instruction you can't get anywhere else. Expand your Circle of Trust and eliminate 3-putts.